Another 3 inches jumped off the needles between taking this picture and writing this post! I’m flying through the stockinette in the round! 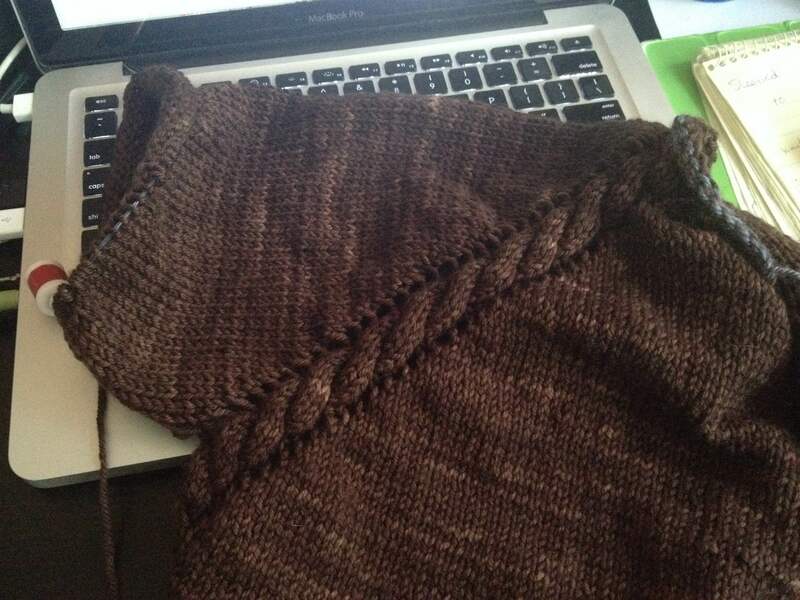 It’s pretty much knitting itself on a 16″ needle. For one millisecond, I contemplated doing the sleeves two-at-a-time. Then I came to my senses! My math worked out in beautiful whole numbers…there was no weird rounding! The numbers just fell into place, and so far, the sleeve is following suit! 31 days until Rhinebeck! I think I’ll definitely be ready! I think so too! Thanks for sharing. I love that cable. It’s looking AWESOME!!! Oh the progress. Cool cable. I have yet to attempt anything like that. Funny you mention stretching. 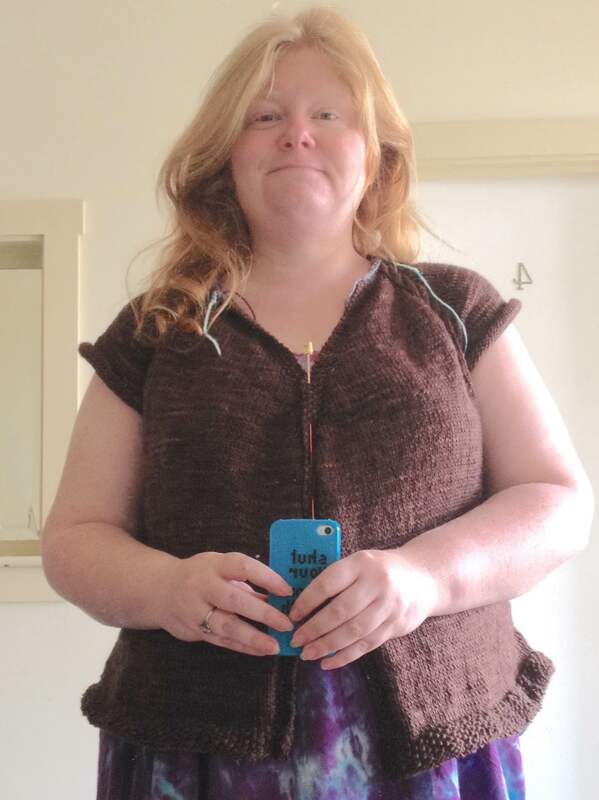 I wore a pullover I knit a few years ago yesterday, it’s not one I wear a lot because the fit isn’t quite right. As I tugged on it here and there, I thought I should hang it so gravity will stretch it a bit. Then I started blaming the pattern, front & back are identical and we all know women are not built like that. Of course, the reality is, I just didn’t knit it long enough. I probably got antsy to finish and stretched it a bit (too much) as I made my measurements. It’s a good remind to take honest measurements! Stretching may get it to the right mark on the ruler but that doesn’t make it fit! I really like this yarn and pattern combo. Looks very nice!